Hello there, friends! 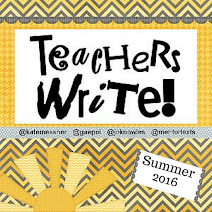 Can you believe we're halfway through Teachers Write already! I know, I feel you. It's going way too fast! Time flies when you're having fun, right? 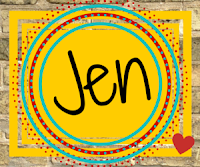 I'm super excited to hear about all the fun you've been having but first, I have a special guest post today from one of our Teachers Write participants, Jennifer Laffin. Ever since she told me about this project she worked on with her students, I've been telling everyone about it. I'm sure you're going to think it's cool too! Excitement was in the air. You could feel it. You could hear it. Best of all, you could see it. The hallways were lined with student-made cardboard books called cartoneras. Every student had written one. Now, it was time to share them. For the past seven months, students worked on developing their writing skills, writing every day in their classrooms with the help and support of their teachers and peers. After spring break, every student (yes, every) in our kindergarten through 5th grade school choose a favorite piece of their writing to revise, edit and publish in the form of a cartonera, a cardboard book. But the Cartonera Project Celebration is more than just a celebration of writing, just as the cartoneras are more than just another published piece of writing. I think what elevates the Cartonera Project to the next level is actually quite simple: It is writing for an authentic audience. When you or I write, we write in different ways depending on who our audience will be. When I am writing in my journal and I know only my eyes will see the page, I write in a more stream-of-consciousness manner, often not paying much attention to paragraphing and other conventions. When I write for children, I pay special attention to the words I choose, the lessons I want to convey, and sentence structure. 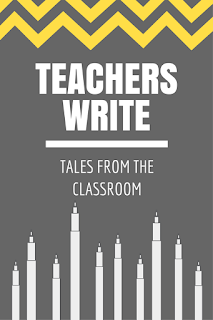 When I write on one of my blogs, Teach Write or Sweet Writing Life, I know I am writing for other teachers so I choose topics that would be of interest to them, give lots of examples, and be sure that I have communicated my thoughts clearly and concisely. When students write and publish a cartonera, they are writing for a real audience, just as an author does. They are invested in their topic because they know many people will read it and they want their reader to feel something from their words. 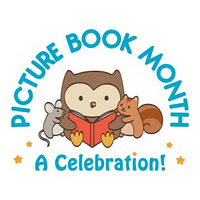 They choose their words carefully, add illustrations to enrich the story or topic, choose catchy titles and attention-getting grabbers, and make sure that all of the conventions are cared for in order to make the reader’s job easier and more enjoyable. It is not an “assignment.” Heck, it’s not even graded! But I would argue that our student writers get more out of this project to grow their writing identities than any other assignment they do in the entire year. Why? It all comes down to audience. Why is writing for an authentic audience important? It gives the writer a sense of purpose. They are writing beyond themselves, beyond the teacher and beyond a grade. There is a goal in sight. It is probably unlike any writing goal they’ve had all year. When the reader responds to the writing, in our case on the Raves From Readers page, the author gains an understanding of the effect their writing had on their reader. Were their jokes funny? Was the setting clear? Did they teach the reader what they intended? Was anything confusing? This feedback is invaluable for growing a writing identity and engagement with writing. This writing is formative, not summative. It will not receive a grade. It does not have to be over with the placement of the final period. It can continue to live on with the audience and the interaction with the reader. Being a teacher who writes has helped me gain a clearer understanding of the need for an authentic audience when my students write. It has helped me experience the interaction between the reader and the text from a different point-of-view. Knowing that someone else will be reading my writing has raised the bar for me to make sure I put my best work out there for you. It’s similar to the writing we do here every day for Teachers Write. When we write and leave a comment on the daily post, we know others will see it. This shapes the words we use, the ideas we develop, and how we go about communicating our thoughts. It is a powerful motivator. 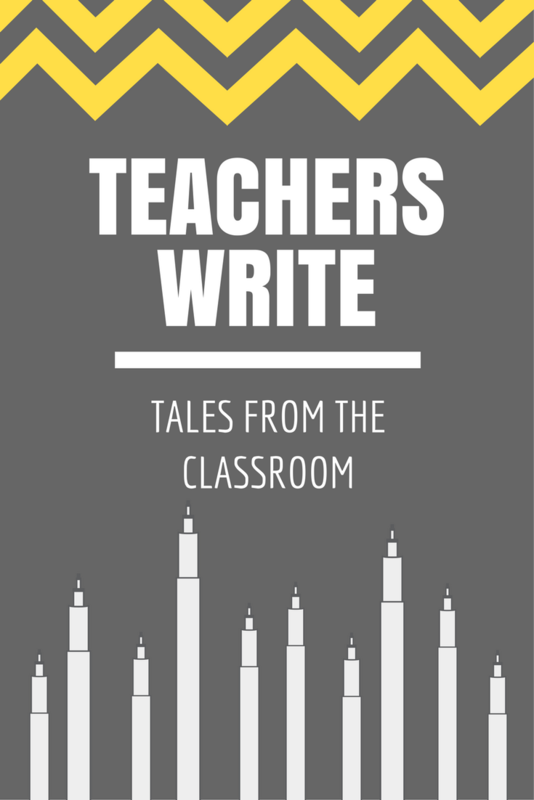 In preparing this post for you, the Teachers Write participants, I wanted to convey how a project at my school helped to elevate the level of writing our students did and how it was affected by being a teacher who writes myself. As you return to the classroom in the coming weeks, I challenge you to think of ways you can include an authentic audience in your writing classroom. I promise you -- it will make a world of difference! If you think you would like to bring The Cartonera Project to your school, I can help with that too! The following resources may help. 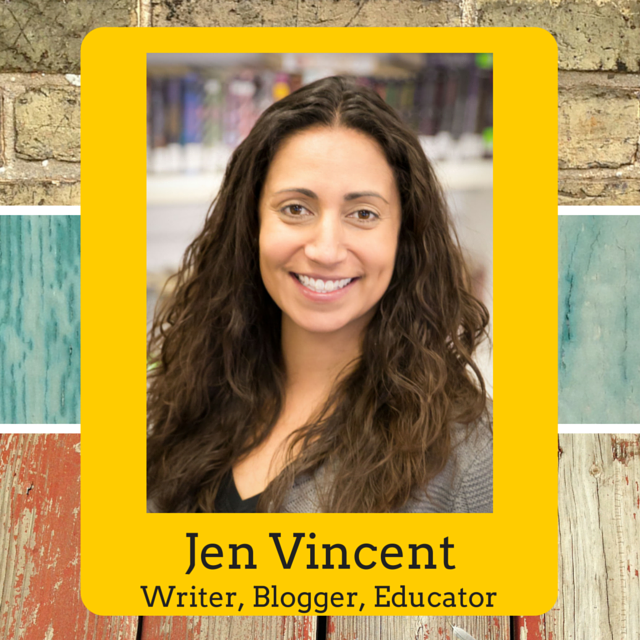 You can also contact me directly for more information or to ask any questions through email at jennifer@teachwrite.org or on Twitter @laffinteach and @TeachWriteEDU. 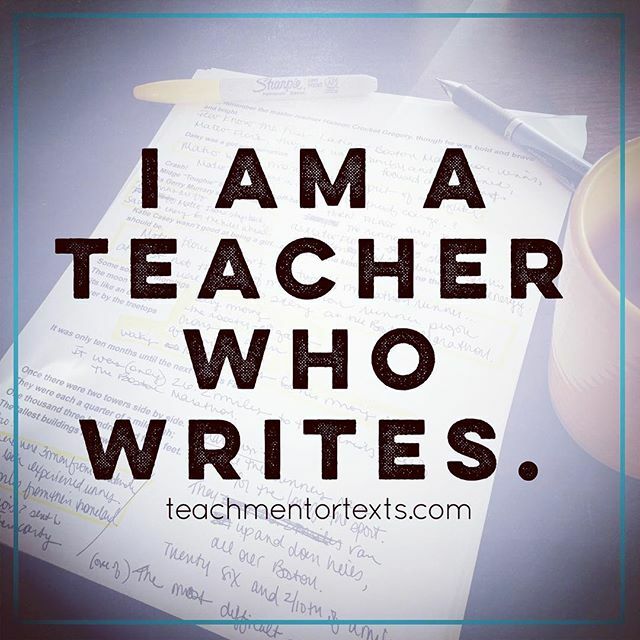 Here's more about me: I am a former 4th and 5th grade teacher who found my passion for teaching writing and being a teacher who writes when I participated in the National Writing Project’s Summer Institute six years ago. I am now the owner of Teach Write LLC, an educational consulting company that specializes in helping teachers become stronger teachers of writers as well as develop writing habits themselves. 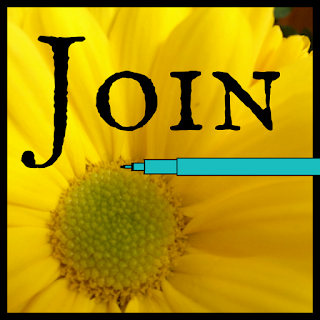 I live in southeastern Wisconsin with my husband, two kids, two dogs, and too many notebooks and pens to count. Thank you, thank you to Jennifer for sharing her cartoneras project. I'm obsessed with trying to figure out how to do this in my district. 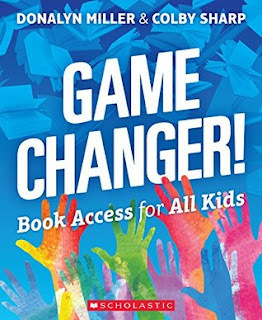 Jennifer and I met with a couple of other Teachers Write friends, Joy Olenick and Greg Armamentos, this week to talk about writing. Just one more example of why I absolutely love Teachers Write - fab friends in our online community have become real life friends. And now! I can't wait to hear how week two went! My goal for this week was to add another 5,000 words to my draft and I was actually a drafting machine! I've been tracking my progress with Pacemaker and seeing my word count move up along the graph really motivated me. Believe it or not, I hit 22,000 words last night. Woo hoo! I have to add a disclaimer here that I've NEVER written this fast in my life! Drafting has gotten easier with practice...please know that I've had many days when trying to get 500 words out was torture and don't think that I write like this all the time. Based on how I did last week, my goal for this week is to hit 38,000 words. Wish me luck!